Andy Deiss has over 20 years of litigation and trial experience. 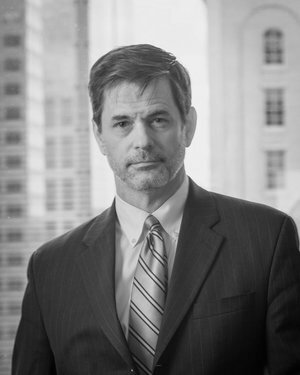 Over the course of his career, Andy has represented plaintiffs and defendants in state and federal court criminal, civil and appellate matters. Andy has been been recognized as one of Utah's Legal Elite by Utah Business Magazine for over a decade. He has also been identified by Thomson Reuters as a Super Lawyer since 2010 and selected a Super Lawyer Top 100 Mountain States Lawyer. U.S. News and World Reports continues to recognize his firm as a Best Law Firm and he has been chosen as a Best Lawyer every year since 2011. Best Lawyers in America named him Antitrust Lawyer of The Year in Salt Lake City for 2016. Avvo has given him the rating of Superb 10 out of 10 Top Litigation Attorney. Andy has represented many of Utah's largest companies, as well as Fortune 500 and Fortune 100 companies in diverse litigation matters. In addition, Andy is an adjunct professor at the University of Utah Honors College and has been an instructor at the National Institute for Trial Advocacy for over a decade. Andy has published numerous articles, include one that has been cited by the Supreme Court twice, numerous law review articles and other secondary sources. Albert W. Alschuler & Andrew G. Deiss, A Brief History of the Criminal Jury Trial in the United States, 61 U. Chi. L. Rev. 867 (1994). Andrew Deiss & Billie Siddoway, Noncompetition and Nonsolicitation Agreements, Utah Business Law for Entrepreneurs and Managers (2016). Andrew Deiss, Billie Siddoway & Diana Bradley, Trade Secrets, Utah Business Law for Entrepreneurs and Managers (2016). Andrew Deiss, Billie Siddoway & Diana Bradley, Unfair Trade Practices, Utah Business Law for Entrepreneurs and Managers (2016). Andrew Deiss, Why Stories Should Matter to Trial Lawyers, NBI (2014). Andrew Deiss, Courtroom Stories, Attorney at Law Magazine. Andrew Deiss, Negotiating Justice: The Criminal Trial Jury in a Pluralist America, 3 U. Chi. Roundtable 323 (1996). Andrew Deiss, Making the Crime Fit the Punishment: Pre-Arrest Sentence Manipulation by Investigators Under the Sentencing Guidelines, 1994 U. Chi. Legal F. 419. Neil Vidmar, World Jury Systems (Oxford 2001). Third District Court, State of Utah, Small Claims Department judge pro tempore, 1996-1999. Utah Lawyers for the Arts, President, 1997-2010. West High School Mock Trial Coach, 2011-2016. Disclaimer: Sending a message through email or otherwise to Andrew, the firm, or any of its attorneys will not create an attorney-client relationship and the contents of such communications will not be treated as confidential. Please do not send time sensitive information without first establishing an attorney-client relationship after signing an engagement agreement with Deiss Law PC.